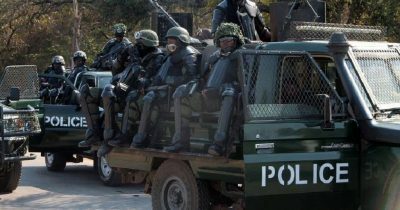 The Zambia Police has summoned University of Zambia Lecturers and Researchers Union (UNZALARU) leaders at Police Headquarters for questioning in connection with the recent protest and riot at the University of Zambia which resulted in the death of Vespers Shimuzhila, a fourth year student. Those summoned are UNZALARU Vice President Dr Andrew Phiri and General Secretary Dr Kelvin Mambwe. By press time the two were still being interrogated as police high command is under pressure to shift blame for the death of Vespers either to students themselves, lecturers or opposition political leaders. Vespers Shimuzhila died of suffocation after the PF police stormed UNZA and teargased student hostels following riots on 5th October 2018 over delayed meal and project allowances. It is highly unlikely that the police will investigate and charge their own officers responsible for the death of vespers.